ROM regeneration is one very important and powerful WD hdd repair feature of DFL-WDII hdd firmware repair tool. The following hdd repair tips are especially for WD ROYL HDD. When do we use ROM Regeneration? When we are going to use ROM regeneration, you may find the following WD HDD damage symptoms. The HDD doesn’t spin up or the hdd is not detected at all. 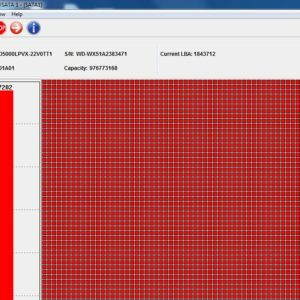 After PCB swap or hot swap, you can finally confirm it’s the ROM damage causing the failure. Whether you’re going to perform hot swap or direct PCB swap, the most important is the restoration of the HDD and the FW area is readable and writeable and you are able to handle the fw modules. At this time, click backup modules and backup all fw modules. Click ‘Regenerate ROM’ and DFL-WDII hdd repair tool can automatically regenerate the original ROM by a special built-in repairing and restructuring algorithm. Only if the original ROM modules are not severely damaged, the success rate is high enough to guarantee the success of hdd repair. 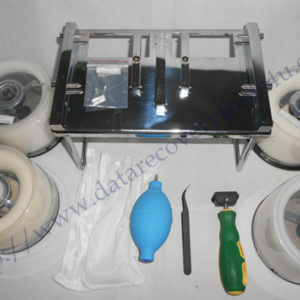 You can read more about other hdd repair features of DFL-WDII here or you can email to sales@dolphindatalab.com to get a free quote of this advanced wd hdd repair tool. I m interested to buy DFL-WDII with training.